It is a matter of odd historical fact that the last shot of the American Civil War was a blank fired at a New Bedford whaling ship in the Bering Sea off Siberia on June 22, 1865, more than a month after the conflict had actually ended. To understand this bizarre event in this peculiar location, we need to briefly recount the voyage of the Confederate raider CSS Shenandoah, an extraordinary epic of seafaring long neglected as a minor footnote to maritime history. When South Carolina’s secession shattered the union on Dec. 20, 1860, the Confederacy gained many fine naval officers, but few seaworthy warships. 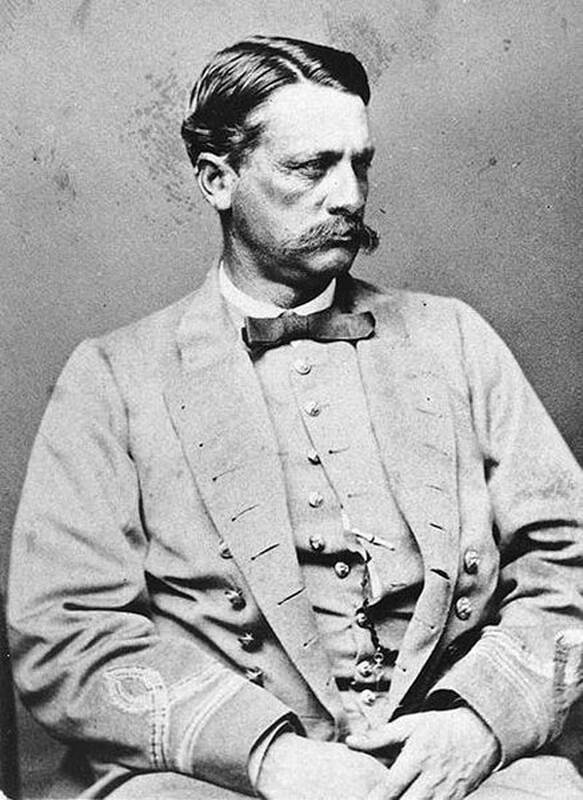 Stephen Mallory, the Confederacy’s creative naval secretary, dispatched Southern agents to Europe to covertly buy or build fast cruisers for commerce raiding. James Bulloch (1823-1901), the Confederate agent in Liverpool who managed the purchase and outfitting of Shenandoah, would later tell sea stories to his sister’s son, young Theodore Roosevelt. Bulloch was opposed by Lincoln’s top spies and diplomats, notably U.S. Ambassador Charles Francis Adams (1807-1886), son of President John Quincy Adams. 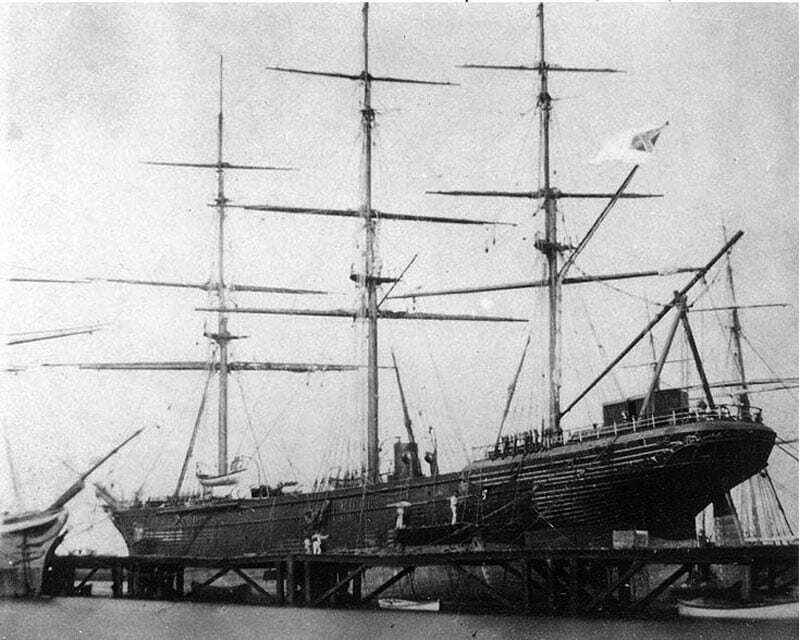 Shenandoah was launched at Glasgow, Scotland in 1863 as the merchant ship Sea King, a state-of-the-art clipper for the China tea trade. Built of teak planks over an iron frame, she displaced 1,160 tons, carrying three masts and a 200 hp coal-burning auxiliary steam engine driving a propeller that could be raised into the hull to reduce drag while sailing. On trials Shenandoah reached a speed of 12.25 knots under steam, but under full sail she achieved 16 knots. Slipping out of Liverpool under false papers on Oct. 8, 1864, Shenandoah rendezvoused with a chartered Confederate steamer in a remote cove in the Madeira Islands to load weapons and crew. A sailing vessel of her size needed at least 100 men to operate safely, and perhaps 50 more to handle the guns and form boarding parties. However, due to manpower shortages, Shenandoah was desperately under-manned throughout her 13-month voyage, constantly struggling to recruit experienced sailors from ships she captured, with promises of prize money and high adventure. Shenandoah’s armament was composed of four 8-inch (“68 pounder”) smoothbore cannon, two rifled Whitworth 32-pounders and two 12-pounder signal guns. But she was not meant to fight warships, and never engaged any U.S. Navy vessels. Her prey was unarmed merchant ships, in a Confederate strategy of “commerce raiding” that by 1865 ruined the American merchant marine, particularly the New England whaling fleet. In the course of a 58,000-mile cruise, Shenandoah captured 38 ships and burned 32. Despite taking over a thousand prisoners, not one was killed. Prizes that were not burned were packed with prisoners and sent into neutral ports. Shenandoah’s skipper, Lt. James Iredell Waddell (1824-1886) of North Carolina, joined the U.S. Navy in 1841, graduated from Annapolis and served in the Mexican War. Appointed as a lieutenant in the Confederate Navy, he was sent to England in 1863 with the hope of a seagoing command. A cautious mariner, Waddell was described by his junior officers as secretive, aloof, unpredictable, and often petulant. They were very junior, ranging in age from 21 to 31. Several of them kept journals, which survive along with the ship’s logbooks, so the voyage is surprisingly well documented. After leaving Madeira, Shenandoah made a few captures in the South Atlantic, rounded the Cape of Good Hope and crossed the Indian Ocean, making a port call at Melbourne (Jan. 25 – Feb. 20, 1865) for badly needed repairs and supplies. Warmly received by Australians, the Rebels narrowly avoided arrest as pirates by local authorities, who had no clear orders regarding them from London. 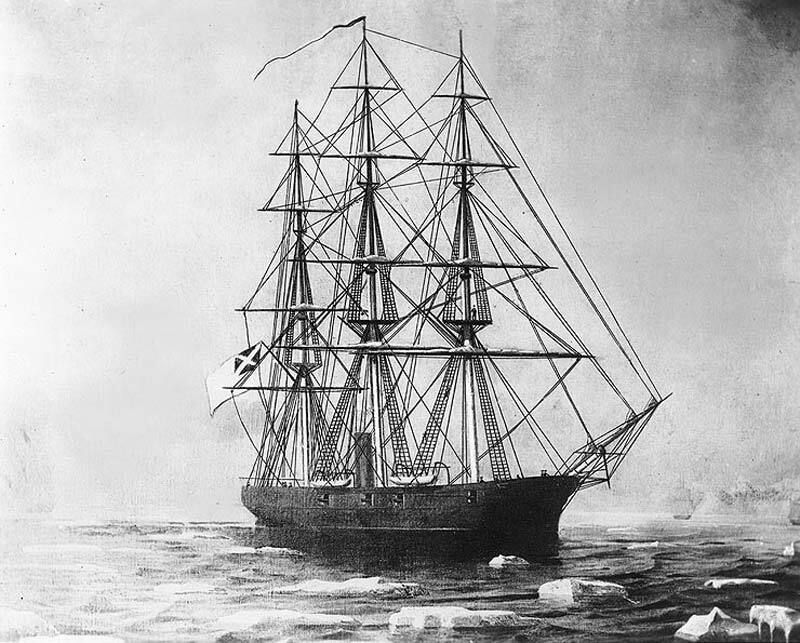 Stopping in April at the Micronesian island of Ponape to burn four Yankee whalers and take on fresh water, Shenandoah sailed north, reaching the icy Sea of Okhotsk by May. Finding only one stray whaler, she turned into the Bering Sea, where the unarmed, unsuspecting New Bedford whaling fleet hunted the gray whales. Over the course of a few days, 24 vessels were captured – most burned, the rest loaded with prisoners and sent into San Francisco. American whaling never recovered. Without a reliable supply of inexpensive whale oil as a smokeless lamp fuel and premium lubricant, there was now a vast new market for kerosene distilled from that nasty black stuff that oozed out of the ground in Pennsylvania: petroleum. In a sense, the Rebels saved the whales. On Nov. 6, 1865 Shenandoah arrived back in Liverpool and surrendered to the Royal Navy. Sold to the Sultan of Zanzibar, she was wrecked in a hurricane in 1872. Shenandoah’s battle flag is preserved at the Museum of the Confederacy in Richmond, Va. One of her signal guns is in the Naval Academy Museum at Annapolis, Md. In one of the many ironies of this story, the missile destroyer USS Waddell (in service 1964 -1992) named for Shenandoah’s commander, belonged to the Charles Francis Adams-class.